What is the difference between applying lye discount and superfatting your soap? And should we care? Grab a cup of coffee or a hot tea, or whatever beverage you prefer, take a short pause and sit down comfortably. I will show you, that the difference can become quite important and that we should care. I did not think about it until I got a question on how to approach superfatting of the finished hot processed soap. Lye discount means that you calculate the amount of lye needed to saponify all the oils in your recipe and than discount part of it – e.g. 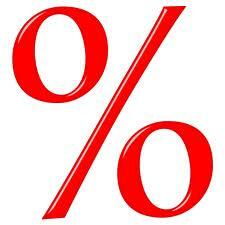 lye discount of 5% means that you make your soap with 5% less lye than the required amount. 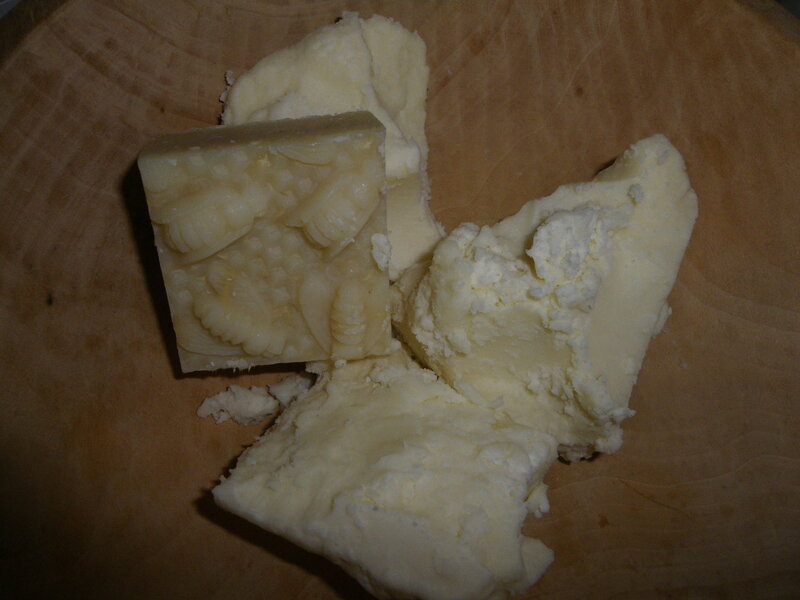 Superfat means you first mix your soap and than add some more oil/fat either at trace or once the soap is finished. There is an important difference between the two as I will explain later. After both procedures, we say that we superfatted our soap, which is true. There is indeed some extra / super fat that was not saponified. 1 Superfat – how to control which oils will saponify? 2 How much did you really superfat your soap? Superfat – how to control which oils will saponify? The composition of unsaponified oil in finished cold-process soap does not depend on the order in which the oils are added. The oil component that reacts most slowly with the lye will be more concentrated in the unsaponified oil than in the original oil blend. In other words, if you add for example coconut oil at trace, its saturated fatty acids will saponify quicker than for example unsaturated fatty acids of the olive oil that was in the mix from the very beginning. At the end, there will be more of the olive oil fatty acids unsaponified in your soap than fatty acids of the coconut oil, even if this was added last. This means that the only way how to control the non-saponification of your superfat oils is to add them after the saponification is completed – e.g. in the hot process soap. How much did you really superfat your soap? The thing is that while in the lye discount the percentage of superfatting is straightforward to calculate, it is not always the case if you superfat (add some more fats) at trace or after the soap was finished (for hot processed soap). If I calculate my lye with 5% lye discount and saponify my oils with it, I will have 5% superfatted soap, because 5% of my oils in my oil mix could not saponify. Easy! However, let’s say I want the coconut oil remained unsaponified and so I decide to add it at trace (which we know does not make sense, but let’s say I’ll do it) or I HP (hot process) my olive oil soap first. In both cases, this means I plan to saponify 950g of olive oil with lye calculated at 0% and only later (at trace or after the saponification is completed by HP) I add 50g of coconut oil. In both of these cases, I do not have anymore 5% superfat… how is that? This means I use only 95% of the lye needed to saponify all the oils in the recipe. 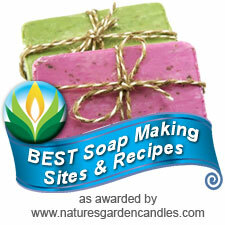 I would need (according to SoapCalc) ~ 137.9g of NaOH for 100% of oils, therefore I use 0.95 * 137.9g = 131g of NaOH. I mix both oils with my lye until trace. 95% of my oils react with all the lye and 5% of them remain unsaponified. My superfat is 5%. According to K.Dunn’s observation, this 5% will probably be mainly unsaturated fatty acids from olive oil, since they react the slowest, but the percentage is clearly 5%. Scenario 2: I apply superfat by adding 50g of coconut oil to 0% discounted soap from 950g of olive oil. This means I calculate my lye for complete saponification of 950g of olive oil. SoapCalc estimates 128.7g of NaOH. I mix my soap and add 50g of coconut oil at trace, or after the saponification is finished (hot process). In my recipe I used 128.7g of NaOH which represents 93.3% (128.7g/137.9g) of the lye required to saponify both oils together, therefore my superfat is 100%-93.3%=6.7% ! However, if I would add 50g of olive oil as superfat (instead of coconut oil), I would finish with 5% superfatted soap! 1000g of olive oil requires 135.5g of NaOH, 128.7 / 135.5 = 95%. Now this difference is due to different saponification values (SAP) of both oils. Simply said, 50g of coconut oil contains more fatty acids than 50g of olive oil, so it represents more than 5% of all the fatty acids, concretely, 50g of coconut oil represents 6.7% of fatty acids from our example recipe. Imagine you had a recipe with 900g (90%) of olive oil and 100g (10%) of coconut oil. The lye amount needed to saponify both oils is 140g of NaOH, but only 122g of NaOH for 900g of olive oil. Adding 100g of coconut oil would resolve in 13% superfat, instead of expected 10%. 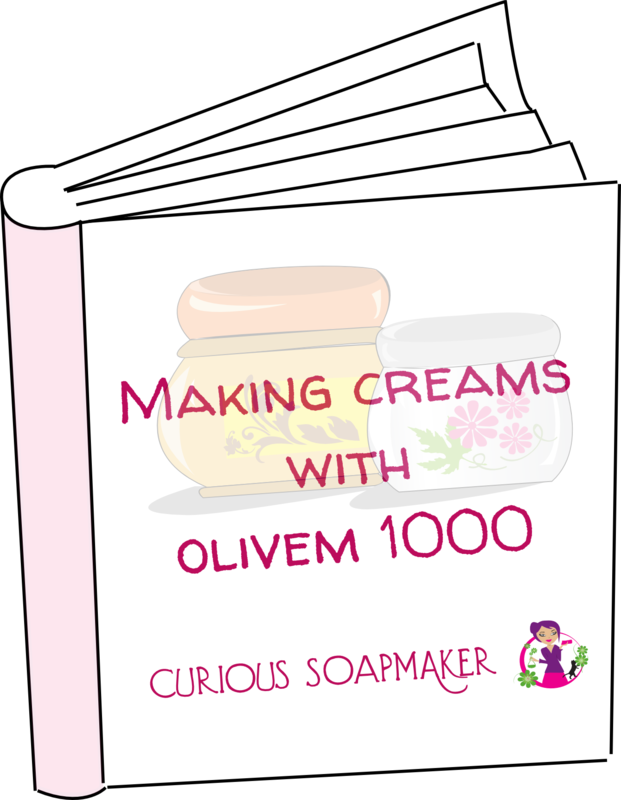 This entry was posted by evik on February 12, 2013 at 23:04, and is filed under for beginners, soapmaking, soapmaking basics. Follow any responses to this post through RSS 2.0.You can leave a response or trackback from your own site. I LOVE THIS POST!!! It really changed the way I think about superfatting. But I have some questions. . .
First question: If you’re using the lye discount method (5%, for example), which is based on weight, but olive oil saponifies more slowly than coconut oil, wouldn’t that result in your 5% (by weight) unsaponified oils being composed more of olive than coconut? And then, since olive oil has fewer fatty acids than coconut oil, wouldn’t your 5% unsaponified oils contain fewer fatty acids than it would if the lye (magically) saponified every kind of oil at the same rate? It seems to me that for different recipes, the 5% (by weight) free oils in the finished soap would have different amounts of fatty acids, depending on what your slowest-saponifying oils are, and how much of them are in your recipe. So if you made soap with 1000 grams of coconut oil and a 5% lye discount, your finished soap would have more unsaponified fatty acids than it would if you made soap with 1000 grams of olive oil and a 5% lye discount. I think? Second question: In “Scenario 2,” you talk about doing a 5% superfat with coconut oil after your hot process is finished cooking. If you added 50g of coconut oil to 0% lye discounted soap of 950g olive oil (using 128.7g lye), then yes, I see how your finished soap would have 6.7% superfat. But what if you calculated your lye differently? Instead of calculating only your base oils (olive) with 0% lye discount, what if you told SoapCalc you were making soap with 950g olive oil and 50g coconut oil and 5% lye discount (0.95*137.9 = 131g lye). You withhold the coconut oil and hot process the olive oil. When you’re finished, you add the coconut oil, and have a 5% superfat. In this case, it wouldn’t be 6.7% superfat, because your cooked olive oil portion would actually be lye-heavy, since 950g olive oil only needs 128.7g lye. The 50g coconut oil would react that remaining 2.3g of lye and leave you with a 5% superfat. Unless I’m totally off-track? 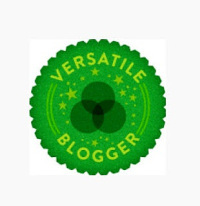 Your blog really makes me think! If you’re using the lye discount method (5%, for example), which is based on weight, but olive oil saponifies more slowly than coconut oil, wouldn’t that result in your 5% (by weight) unsaponified oils being composed more of olive than coconut? Yes, it definitely would be mainly olive oil fatty acids (or more precisely some mix of coconut oil unsaturated fatty acids and olive oil unsaturated fatty acids, since both oils have some…). That is why you cannot really control which fatty acids are going to be saponified in cold process and it makes sense only in hot process. And then, since olive oil has fewer fatty acids than coconut oil, wouldn’t your 5% unsaponified oils contain fewer fatty acids than it would if the lye (magically) saponified every kind of oil at the same rate? It seems to me that for different recipes, the 5% (by weight) free oils in the finished soap would have different amounts of fatty acids, depending on what your slowest-saponifying oils are, and how much of them are in your recipe. So if you made soap with 1000 grams of coconut oil and a 5% lye discount, your finished soap would have more unsaponified fatty acids than it would if you made soap with 1000 grams of olive oil and a 5% lye discount. I think? It would not, since the superfat or discount is relative to the fatty acid mix, not really the oil weight mix. If you discount, than you are taking off the lye needed to saponify 5% of the fatty acids in the mix, not 5% of oils (which may have different content of fatty acids), since the lye amount is calculated based on fatty acid content not oil weight. What happens in the mix is that the 95% lye is reacting until it consumes 95% of fatty acids in the blend. More quickly the saturated ones but than it goes on the unsaturated ones. Even if the rate was the same for both types of fatty acids, it is still going to react with 95% fatty acids. You are completely right, as you see, it really depends all on the lye calculation and when you add your superfat. What you do here is try to find a way on how to make the HP recipe 5% superfat. However, I believe it would be easier if you did not really cook a lye heavy soap, since it is difficult then to blend in more oil (it is really quite thick! ), but rather calculate weight of your oils so that they make 5% superfat when you add them at trace. Great post, thanks! I am wondering what your thoughts are on essential oils and them being saponified in cold process and would you just recommend doing hot process and adding them at the end to best preserve there value? Hi Amanda, well, indeed, adding essential oils in HP is of course better – they are not altered by high pH and you need smaller amount. Of course, you might loose some due to hot temperatures on the other hand, so that really depends on the type of essential oil I believe. Fantastic post. I’d reached a somewhat instinctive conclusion like this, but without the concrete numbers. It just made sense. A scenario to consider could also be adding a superfatting oil that is slow to react with NaOH. For example, a coconut oil soap with olive oil added at trace – I believe the superfat would be very close to planned even with cold process. i do hot process. I want to superfat with 5% shea butter, but the saponifing fats are 52% Stearic acid and 48% coconut oil. How should i calculate the amount of KOH needed if a want the shea to remain unsaponified? I’am a soap maker in the Philippines. I have a particular experience in soap making that could contradict superfatting in the outcome of the soap. If I am just confused kindly explain WHAT REALLY HAPPENED IN my scenario. I AM MAKING SALT BARS IN COLD PROCESS. *** IT APPEARS THAT MY SCENARIO B IS MORE SUPERFATTED BASED ON YOUR SCENARIO 2 IN ADDING EXTRA OILS AT TRACE IN COLD PROCESS. HOW COME THAT MY RESULTING BAR IS MORE BUBBLIER? Thank you so much for this post. It really helped me on my superfatting in CP…thanks again. Thank you for posting this. It helps so much that you understand the math & process and can explain so clearly. Would you please explain to a beginner soap maker the math behind the lye discounts please. I am not a big math person so if possible as plainly as possible so I can wrap my head around it. thank you.